Monschau is a little medieval town in the Aachen region, lying close to the border with Belgium. The town lies in a small valley surrounded by hills. Its picturesque center is full of cobblestone alleys, timbered houses with café’s, restaurants, bakeries, decoration and artisan craft shops. Visiting Monschau is a great idea for a day trip from Brussels any time of the year, but during the Christmas period, it changes into a fairytale town. Every weekend during the Advent period you can visit a traditional Christmas market here, probably the most romantic one in the whole Germany. Don’t forget to visit the House of Christmas – a 3-floor shop where you can get some sweet Christmas decoration. 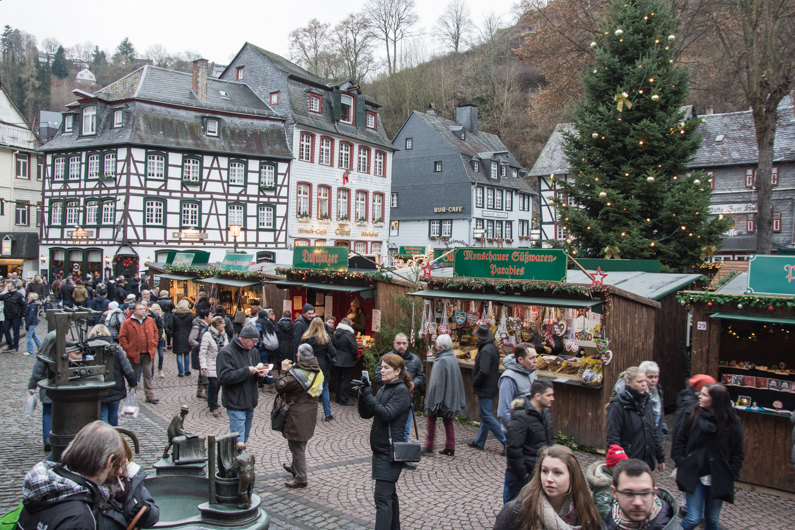 The German metropolis on the Rhine River attracts millions of visitors from all over the world during the Advent period. 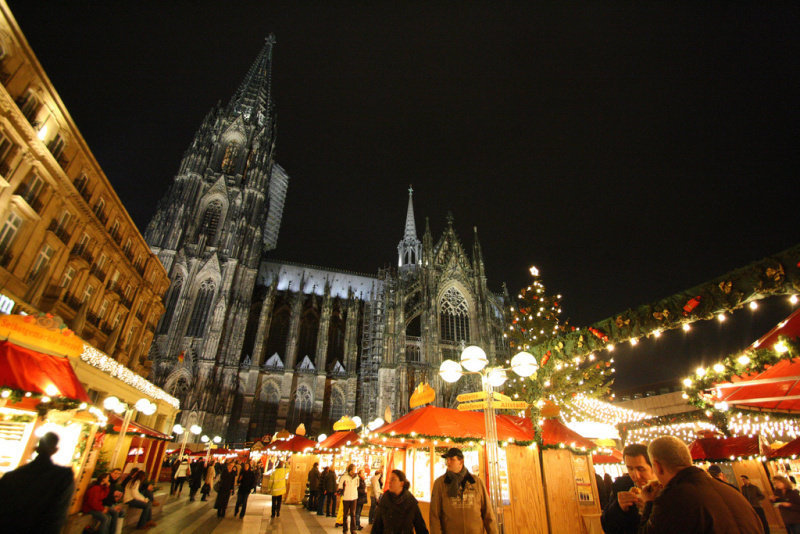 There are many Christmas markets with various themes in Cologne. One thing is common to all. The scent of mulled wine and traditional German sweets. At the central square next to the Cathedral, you will find a huge Christmas tree and a stage for live performances, surrounded by numerous stands selling gifts, craft products, and food. There is one large market decorated with beautiful lighting stars on the Neumarkt square – it is called Markt der Engel and you can find some nice gifts there too. Be sure not to miss the Harbour Christmas Market on the bank of Rhine and try some fish and seafood with some good drinks there. The lovers of ice skating can head to Heimat des Heinzel on Heumarkt, families with children to the Nikolausdorf on Rudolfplatz. Some of you may like to see the Gay-Lesbian Christmas Avenue Market. Before you go, be sure to download the plan of the Christmas markets in Cologne. Aachen is also a nice town to go for a day trip any time of the year. During the Advent period, the streets around the Cathedral and the Aachen Town Hall hosts one of the top 10 European Christmas markets. Festively decorated city will make you feel the right Christmas spirit, while you can get some nice gifts such as original craft products as well as some delicious food. Apart from the fried potato pancakes that are typical to all German Christmas markets, you need to try delicious Printen and other gingerbread cookies that are produced in Aachen but are famous all around the world. 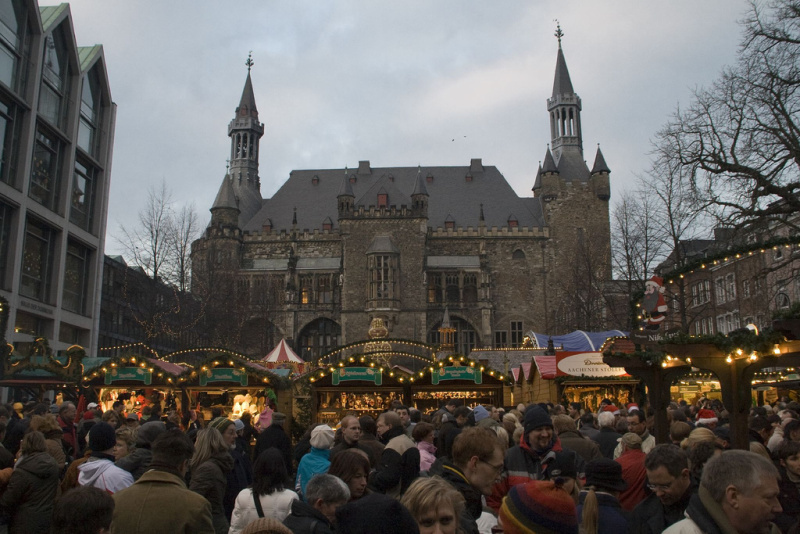 The Aachen Christmas Market is attended by 1.5 million visitors from the neighboring countries every year. 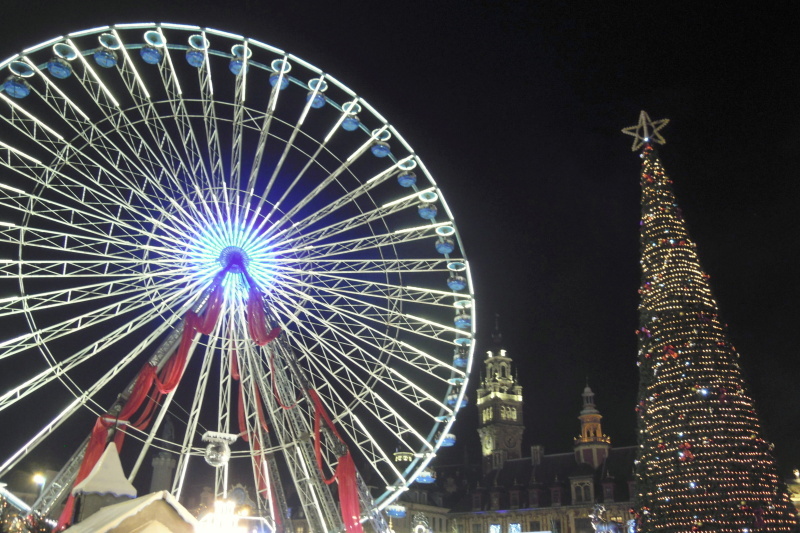 The Christmas Market in Lille is probably the closest French Christmas market. More than 1 million of visitors come to the Christmas Village installed on place Rihour in Lille every year to where 83 stalls sell artisan gifts from the region but also from Russia, Canada, Poland or South America. People can also taste some sweet and salty treats such as Liège waffles, French pancakes, gingerbread, foie gras, French cheese or the mulled wine. 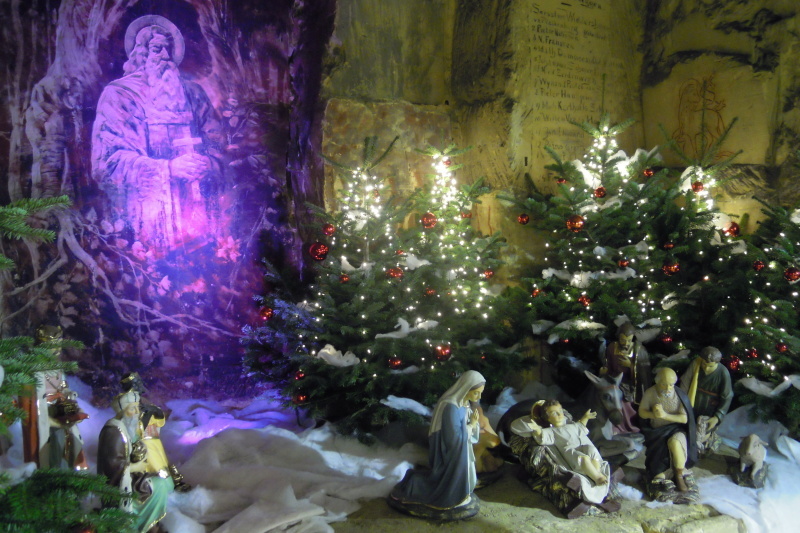 The Christmas Market in Valkenburg is special as the markets take place in caves. The Municipal Cave is the largest and oldest underground Christmas market in Europe. Inside, you will see a life-size Bethlehem town built from sand. Don’t forget to visit the Velvet Cave which is impressive too. Apart from Christmas stalls, you can expect to see huge statues from sand in different lights, mural paintings, or 18th-century chapel. Do you like Christmas markets? Which country is your favorite in this sense? Let me know in the below comments!